Borrowing from the conference’s title, Vanderheiden enjoined us to imagine a different future, and then live it. This may not be music to the ears of your average eco-warrior, hungry for direct and decisive action, but it gets to the heart of the things that are holding us up. We will not win this battle by individual heroic effort, however welcome, but by collective acceptance of a different future. The apocalypse, while never an appealing notion, has been somewhat in literary vogue since the bible was first published. The arrival of the climate change induced apocalypse in literature is a fairly new literary game. The apocalyptic fiction I grew up reading included the despair inducing Children of the Dust (1985) and Robert C O’Brien’s particularly depressing Z for Zachariah (1974). The apocalypse in those books, which were published during the Cold War, was nuclear induced. There is a new wave of post apocalyptic books that imagine a world fraught from climate change, a world that we inhabit more and more every day. Three recently published books, The Island Will Sink by Briohny Doyle, The Map of Bones by Francesca Haig and The World Without Us by Mireille Juchau all relate a world directly impacted by climate change. The only similarity these books share is that they are fiction, though as we wake up every morning with the tides lapping higher, and the winds blowing harder, elements that are, like so much rendered in speculative fiction rapidly becoming a reality. The Island Will Sink by Bryony Doyle (The Lifted Brow 2016) is a ripper of a book, based around a film producer who has been cashing in on the apocalyptic nature of a ‘post’ climate change world. His current opus is to film Pitcairn Island as it sinks, to create an immersive disaster experience for viewers. It is set in the near future, and houses are designed to withstand the unpredictable tempests. The ‘post’ in post apocalyptic in these book varies. UK based Tasmanian poet and novelist, Francesca Haig’s Fire Sermon Trilogy (Harper Collins) is set very much in the post-post climate change world. The change has occurred, fractured communities and resulted in some children being born marked differently and considered dangerous. The memory of the change that tore life as we know it asunder, is now muted, almost mythic. The reader is still left in no doubt that the changes that caused daily life in this novel to be so profoundly different from how we live today were made by changes in the climate. The World Without Us is an exquisite story that sits snugly in the literary fiction genre. It is primarily about the nature of grief, and this is told through the story of a family who have lost a sister, a daughter, and a family who has produced honey for a long time. The ‘without us’ in the title refers to a world without bees, though it also alludes to a deeper loss. I’m no scientist and while I understand that the decline in bee populations around the world is chemical related. You might say that it also alludes to the loss of species predicted to occur as a result of climate change. To finish, and not to leave you with a dystopic taste in your mouth, I would like to mention that these books, as depressing in parts as they may be, all share characters with common human resilience. It is their uniting element, so profoundly disparate in genre as the books are. They show an evolutionary drive to adapt though they in no way celebrate the loss and profound change of their settings, and the changes in day to day life as a result of climate change. The portrayal of climate change in fiction is a powerful mechanism to educate, and indeed offers an opportunity for creative activism. Storytelling about climate change is a stealth mechanism for making positive change in the world, indeed the power of art to convey messages otherwise lost through issue fatigue, or insidious political agendas must be recognised and celebrated. These three books do that, as did Z for Zachariah, for my ten year old self that taught me to fear nuclear war, and even better to challenge an apathetic status quo. Rachel Edwards is the editor at Transportation Press. One of the most vexed questions in the international climate negotiations is how to share the effort of keeping warming below dangerous levels. If we have to reduce pollution to stabilize the Earth’s climate, then how much should each country contribute, and who should pay? In the global agreement adopted in Paris in 2015 countries agreed to a goal of keeping warming below 2 degrees C above pre-industrial levels, with efforts to limit warming below 1.5 degrees C.
To achieve this objective, the volume of greenhouse gasses building up in the atmosphere must peak and decline rapidly over the next few decades, with the world’s net emissions and removals balancing out at zero in the second half of this century. Wealthier countries have argued that many of the opportunities to avoid growth in emissions arise in developing countries, which have not yet built their energy systems and infrastructure, and so action should take place there. Many poorer countries, by contrast, have argued most of the emissions causing warming have come from wealthy countries over many decades as they built infrastructure and developed, and wealthy people in these countries continue to consume and pollute well above the global average. Poorer countries, in turn, have a right to eradicate poverty and develop sustainably. As well as concerns about who takes a lead in reducing climate pollution, are questions about how to pay for it – in other words, who should contribute the money, technology and capacity needed to get the job done, and how much it will cost. Poorer and more vulnerable countries are also faced with the question of how to balance the cost of cutting emissions, with efforts to tackle the devastating impacts of climate-related disasters – witness the recent effect of hurricanes in the Caribbean. These elements are linked together – how much the planet warms affects how much countries and communities need to adapt to adverse climate impacts, and levels of damage. On the other side of the equation, greater efforts to cut pollution imply lower atmospheric concentrations and temperatures, and lower damage. In each case, finance, technology and capacity is needed to help countries, particularly the poorer and more vulnerable ones, to mitigate and adapt to climate change (see diagram). The UN climate regime is founded on the principle that countries with greater responsibility for causing climate change (e.g. historical emissions), and with greater capabilities to address it (e.g. wealth, income or technology), should lead efforts to address it. Parties are to protect the climate system for the benefit of current and future generations “on the basis of equity”. Despite this, the UN climate talks are not on track to solve the problem. Rather than ensuring countries take on legally binding emission reductions, the Paris Agreement enables each country to contribute what it “nationally determines” – effectively institutionalizing the problem (often referred to as a “tragedy of the commons”) that caused climate change. Current levels of global emissions could place the world on track for up to 5 degrees C of warming by 2100. According to the UN environment agency, pledges under the Paris Agreement – assuming they are implemented – place the world on track for warming in excess of 3 degrees C.
Developed countries have walked back from their binding obligations under the Kyoto Protocol in to a much weaker international regime for the richest countries, largely to accommodate the US and President Obama’s desire to sign the Paris Agreement without taking it to Congress – an approach that enables President Trump to “unsign” it with similar ease. And the emissions reductions proposed by developed countries are woefully inadequate. Pledges by industrialized countries to cut climate pollution in the pre-2020 period were far less than those by developing countries. Pledges for the post-2020 period under the Paris Agreement aren’t much better – analysis by civil society suggests the US and EU “nationally determined contributions” each amount to around half their respective fair shares. Moreover, the levels of finance under discussion fall short. The finance goal of USD100 billion agreed in 2009 in Copenhagen, and extended in Paris, is far less than is required. Analysis by University of Tasmania students participating in the International Justice Initiative suggest the figure is likely to be well above USD4 trillion. The international negotiations are, of course, a projection of the domestic politics of numerous countries. To scale up ambition globally will require greater pressure on national governments and polluters by concerned citizens, organizations and enterprises. It will also require a greater commitment to fairness within nation states – in the identification of solutions, the sharing of benefits and burdens, and the distribution of political power. To achieve a better future, more effective movements for climate justice at local, national and global levels are urgently needed, and the climate justice conference taking place in Hobart later this month is one important opportunity to discuss how to achieve this. 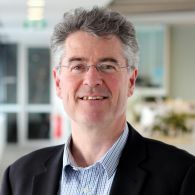 Matthew Stilwell is a Convenor of the International Justice Initiative at the UTAS Faculty of Law and a public interest lawyer who has counselled governments, international- and non-governmental organizations in multilateral negotiations on trade, climate, energy and sustainable development. 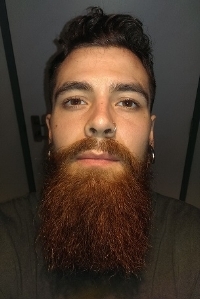 My name is Zac Romagnoli-Townsend, I am a 25 year-old Mutawintji man who was born on Ballardong Noongar country, in a town that is now commonly known as Northam, Western Australia. I grew up in Dwellingup and I have lived in Lutrawita, commonly known as Tasmania, for the past 10 years, residing between Nubeena and Mouheneener country (Hobart and surrounds). Seed is Australia's first nation-wide Indigenous-youth climate-justice action-network. I am the state coordinator for Seed in Lutrawita and I have been a Seed volunteer since early 2015. When I was introduced to the concept of climate-justice, the combination of climate-change and social-justice, I knew that it was something that I wanted to work towards because climate change is the biggest security threat and it is inextricably linked to social justice, and injustice. The technical solutions to anthropogenic climate-change are available and inevitable; renewable energy infrastructure is existent and becoming increasingly cheaper as minerals such as coal get increasingly expensive and ecologically inviable. The main barriers to attaining climate-justice are social and political because these solutions need to be applied in a timely manner to avoid unnecessary negative effects of climate change. However, there is resistance to these solutions because a powerful minority have vested interests in preserving the status quo as it is, because it benefits them. Another barrier to attaining climate-justice is the fact that those who are first and worst affected by the causes and impacts of climate change are also those who contributed least to the issue. Demographics of people who have emitted the least amount greenhouse gases are disproportionally affected because they are materialistically less wealthy and hence rely on subsistence farming. Additionally, they have less access to resources to defend themselves from the increased frequency and intensity of natural disasters such as flooding, hurricanes and drought caused by climate-change. Conversely, demographics of people who have access to more resources, such as proponents of the fossil fuel industry in Australia and the USA, are less threatened by the causes and impacts of climate change because they have made their material fortunes through the mining, selling and burning of fossil fuels. Therefore, it is easier for those who have contributed the most to climate change to avoid the issue and pretend that it is someone else’s’ responsibility to deal with. In the continent now commonly known as Australia, the people who contributed the least to climate change who are first and worst affected are also the most disadvantaged demographic; Aboriginal and/or Torres Strait Islander peoples. These peoples also have the longest continuing cultures of conservation in human history. More than half of the population of Aboriginal and/or Torres Strait Islander peoples are under the age of 35, and this is why it is important to have Indigenous youth at the forefront of the climate-justice movement. Seed is part of a collective of people who are building a generation-wide movement to solve the climate-crisis. Our strategy can be summarized as a process of talking, building and moving the mob. Talking involves discussions with Aboriginal community members to find out what their experience of climate change is, and spreading awareness about Seed and what we do. Building refers to recruitment of new volunteers and training them to engage in activism aimed at climate-justice. Moving the mob is calling those volunteers to action and mobilizing them to pursue climate justice by participating in non-violent direct action, other forms of activism including petitioning, and empowering them to take leadership in their communities. Seed’s current strategic goals include stopping Adani’s Carmichael coalmine and banning fracking in the Northern Territory. We would like to see an end to all new fossil fuel projects and a just transition to 100% renewable energy, meaning that people employed in the fossil fuel industry are supported, retrained and reemployed in a sustainable industry. I would like to see Seed continue to grow in Tasmania and develop its own autonomy, direction, and take on campaigns such as the one to oppose deforestation in Tasmania. Questions of justice and equity are central to the climate problem. In the context of international climate negotiations, justice is generally understood as distributive justice, dealing with effort sharing among nations for tackling climate change. However, a continuing lack of consensus between countries as to what equitable burden sharing would look like has led some to question the value of equity debates, suggesting that equity is “a potential distraction from addressing climate change and could undermine collective action”. Yet issues of equity and justice continue to figure centrally in, and are likely to influence and shape implementation of, the 2015 Paris Agreement. Equity can be considered a principle of international environmental law that addresses fairness, which is crucial to generating agreement in any international regime. Equity is operationalised within the United Nations Framework Convention on Climate Change through the principle of common but differentiated responsibilities (CBDR), which places the greater burden of action, including financial contributions, on industrialised countries based on their responsibility for historic greenhouse gas emissions (the developing country view), or alternatively their greater capacity to pay (the industrialised country view). While the principles of equity and CBDR are included in the Paris Agreement, there is on-going disagreement around how differentiation will be determined and fair distribution of responsibilities achieved. Equity approaches based on historical responsibility and capacity have failed to gain consensus as a basis for international action. The response to this has seen a resurgence of equity approaches that purport to take a neutral and ‘science based’ approach by relying on aggregation and quantification to bypass the need for consensus. Critiques of these approaches suggest that removing substantive debate obscures underlying assumptions in scientific methodologies and their political implications. Depending on choices made around which equity approaches to include, aggregation approaches can strongly skew results in favour of wealthier, higher emitting countries, raising questions over the role of science in making the deeply normative and ethical choices required for determining equitable burden-sharing. Rather than being side-lined for the sake of political consensus, discussion, debate and research into equity will be critical to establishing a morally defensible approach to distributing the climate change effort. At the upcoming UTAS conference on climate justice, several speakers will be addressing the issue of equity and effort sharing between nations from different perspectives. In the opening plenary of the conference on Thursday morning, Marcus Düvall of the University of Utrecht will present on Framings of Climate Justice, and Jeremy Moss from the University of New South Wales discusses Historical Justice and the Climate Transition. 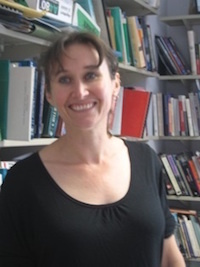 In the following sessions, Karey Harrison, University of Southern Queensland, tackles the question of Neoliberal economics in limits to growth and fair shares, while in a parallel session Patricia Galvao, University of Windsor, will look at Emerging Economies, Dwindling Differentiation and Elusive Climate Justice. The second keynote session on Thursday will see Robyn Eckersley, University of Melbourne, talk about Democracy and Climate Justice, and Steve Vanderheiden from the University of Colorado at Boulder will present on Climate Justice: Beyond Burden Sharing. On Thursday night Steve Vanderheiden will present a public talk at the Hobart Town Hall on Climate Ethics Amidst Climate Injustice. The second day of the conference will open with a keynote session with Lavanya Rajamani from the Centre for Policy Research, New Delhi, speaking on Equity and Differentiation in the 2015 Paris Agreement; Sivan Kartha of the Stockholm Environment Institute presenting the Civil Society Approach to Climate Equity through the Fair Shares approach, and Jan McDonald, University of Tasmania, discussing Fairness in Climate Adaptation Law. Further sessions on Friday include Kate Dooley, University of Melbourne asking whether Equity Debates Function as an Enabler or barrier to Climate Action, and Peter Christoff, University of Melbourne taking a national perspective looking at Burden Sharing within Australia. On the final day of the conference, Matthew Stilwell, of the Institute for Governance and Sustainable Development will present International Civil Society Perspectives on Climate Justice. These diverse perspectives from many internationally renowned speakers will contribute to a growing richness in understandings of equity. Avoiding equity debates will not solve the distributive justice problem inherent within international climate negotiations, challenging the argument that focusing on justice could undermine political will. Rather than being a distraction, a greater focus on equity is sorely needed, to increase ambition through deepened international cooperation, to improve comparison of effort between countries (and therefore greater willingness to participate), and to understand the trade-offs for diverse individual and groups of different types of climate action. As Klinsky et al recently wrote: “Equity is not a distraction to climate policy and analysis. Rigorous analysis that systematically considers the issue of justice is essential for our ability to understand and meaningfully inform the politics of climate action, especially in the post-Paris world”. 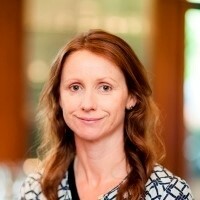 Kate Dooley is undertaking a PhD in political science at the University of Melbourne, looking at the environmental integrity and equity implications of the accounting and practice of land-based climate mitigation. Human beings have caused climate change with potentially irreversible impacts. But can human beings retrieve the situation and engineer a better future by using technologies to reverse the processes associated with climate change? Put differently, can human beings geo-engineer a different and brighter future than that which will flow from our current limited and snail-paced attempts to address climate change? In the recent period, geo-engineering has been heralded as a solution to climate change. Indeed, recent reports of the Intergovernmental Panel on Climate Change (IPCC) assume the success of geo-engineering techniques as integral to efforts to keep global warming below the Paris agreement’s target of 1.5/2°C. Geo-engineering involves techniques such as artificial particles being released into the atmosphere to mimic a volcanic eruption and selectively block out the sun, or causing phytoplankton in the ocean to absorb carbon dioxide. But geo-engineering gives rise to acute ethical and legal issues. After all, geo-engineering solutions may affect every living being across planet Earth. For example, scientists acknowledge side effects such as changes to the hydrological cycle and ozone depletion. How do we deal with any associated socio-economic risks which emanate from those environmental changes? And what about the capacity of disadvantaged countries and communities to adapt to those changes? Any country or company, sufficiently funded, will be able to make geo-engineering happen unilaterally. This raises an ethical concern - is it okay to inflict the risks associated with geo-engineering upon all humanity without a fair negotiation involving all stakeholders? And what about the rights of future generations to a safe and stable climate system? Geo engineering involves potentially irreversible impacts which will remove choices for future generations. But we are in a cleft stick here: the longer time marches by without strong climate mitigation efforts, a failure to utilise geo-engineering techniques may also inflict harm on future generations. The international legal regulation of geo-engineering is also deeply challenging. Currently existing global treaties relating to the environment only deal with geo-engineering in an ad hoc inadequate manner. Some have called for a new treaty specifically addressing geo-engineering. But this could take too long to negotiate and we simply don’t have a lot of time up our sleeve on this issue. Tweaking existing environmental treaties such as the London Dumping Convention which regulates dumping of polluting substances at sea may be a better way to go. But there are no obvious solutions here. What sounds like a wild idea straight out of science fiction might be on the verge of realisation. There is a need for debate and action on this matter. We can’t just leave this to scientists as it impacts everybody. We all need to get involved. But how? Geo-engineering is one of the many climate justice problems which will be discussed at the conference Imagining a Different Future: overcoming barriers to climate justice. At this conference there will be an international panel of experts coordinated by University of Tasmania Law’s Faculty Jeff McGee, and including Catriona McKinnon (University of Reading, UK), Kerryn Brent (University of Tasmania), Michelle Bourban (Kiel University, Germany), Lisa Broussois (Independent researcher, Lausanne,) Aylin Tofighi (IMAS, University of Tasmania). The panel will take place on Friday 9 February 4 PM. Find out more at www.climatejustice.network (click on “Preliminary program”). Salman Shah is a 3rd year straight law student at the University of Tasmania and member of the Student Environmental Law Society. Issues of equity are central to fair and effective solutions to the climate crisis. Not only does climate change disproportionately threaten future generations, but it is also disproportionally affecting the world’s poor and vulnerable on a daily basis. As was starkly demonstrated over the past year, those in the global South with the least responsibility for causing climate change, and least capacity to withstand its impacts, are bearing the brunt of the droughts, floods, fires and storms that continue to devastate communities. It is this fundamental injustice that has motivated us both to work towards equitable solutions to climate change, and lead to our interest in the upcoming conference on overcoming barriers to climate justice. While at law school in Tasmania, we have begun pursuing this goal through the International Justice Initiative. The Initiative provides the opportunity for University of Tasmania law students to pursue public interest law careers and experience the practice of international law and policy making first hand, including opportunities to attend the United Nations climate change negotiations. While providing poor and vulnerable countries and groups with support, and linking up with others in civil society, six members of the Initiative have travelled internationally to the UN negotiations in recent years. Through attending these negotiations – which have been playing out since before we were born – we have gained an insight into the power relations at play, why some groups continue to feel a disproportionate burden, and which countries profit from that. We have witnessed the importance of elevating voices from the global South if we are to achieve a truly global response, and learned about the need to support these countries as they work to simultaneously tackle climate change and meet the hopes and needs of their people. We have also seen the negotiations provide one critical meeting place and platform for likeminded groups to come together, create networks, and plan next steps forward. Conferences such as Imagining a Different Future can provide similar opportunities to catalyse action for global change that addresses the root causes of climate change to protect present and future generations. We look forward to learning from the experts and academics in attendance. Brook Dambacher and Frances Medlock are both part of the International Justice Initiative at the University of Tasmania. Brook recently completed her undergraduate studies with a combined degree in Science and Law, and has attended the UN climate change negotiations since 2015. Frances is in her fifth year of study at the Faculty of Law, and attended the UN climate change negotiations for the first time in 2017. Climate change raises challenging issues of justice or fairness between generations- so called intergenerational justice. This occurs because a continued failure by current generations to take action on climate change unfairly shifts the burden of climate change onto the next generation, who have done nothing to cause the problem. Furthermore, failure by this generation to address climate change means that more must be done by the next generation, pushing up the costs of action. But what do we owe future generations? A “no harm principle” applied by us all in many contexts suggests that we should refrain from action that will harm the interests of others where we have viable alternatives to this action. Renewables are clearly now a viable alternative to fossil fuels. A further basis is the principle (following Simon Caney and Henry Shue) that all persons, regardless of when and where they are born, possess basic human rights (to life, health and subsistence), which are threatened by climate change. Implementing intergenerational justice is impossible without also considering international justice. Developing countries, struggling to address poverty, tend to see the responsibility for future generations as resting on the shoulders of the wealthy industrialised countries who created the problem in the first place. With developing country emissions overtaking those of the developed countries, there is an urgent need to build trust between the North and the South by addressing structural inequalities in the global economic system, including, for example, in relation to agricultural subsidies. Responsibility towards future generations needs to become a responsibility shared by the entire global community. But this will only occur if mistrust between North and South is addressed by genuine reform. It is also worth noting that intergenerational justice also involves questions of justice within societies. With the move away from fossil fuels, structural economic change entailed in the necessary transitions will have variable distributional social impacts, also giving rise to important issues of justice. Implementing justice for future generations requires us to imagine different futures. Ethical action is only possible if we consider the future to be rich in possibilities and not predetermined in doomsday, self-fulfilling prophesies. At the conference Imagining a different future: overcoming barriers to climate justice, Marcus Duwall and Catriona McKinnon will address these issues. Considering the impact of heatwaves on recent sporting events, in a recent article Peter Boyer reflects on how the world of elite sport must react to climate change. It is evident that all aspects of life will be affected by extreme weather conditions. This leads to a discussion of how the world's poorest people will be forced to cope and survive in a changing climate, when they lack the resources that the developed world has. Imagining a Different Future is a perfect opportunity for this to take place. Imagining a Different Future is a conference to be held from the 8th– 10th of February in Hobart, Tasmania. International and local experts will analyse climate change looking at three themes: justice and ethics, barriers to action, and strategies for moving forward. The conference also involves a vibrant climate change art and music program and a strong focus on public engagement with free community events, such as a Public Talk and an afternoon for the local community. Climate change gives rise to questions of justice and ethics because it will severely impact future generations who did not create the problem. Further, inadequate action on climate change involves unavoidable distributional fairness issues, most notably between developing and developed countries. In Australia and many other countries, the justice and ethics dimensions of climate change have been largely absent from the political debate. Despite the Paris Agreement coming into force, the withdrawal of the United States and the rise of more insular politics pose real challenges for concerted international action. The Conference will look at the ethical issues raised by climate change and the implications of the neoliberal model of economics and politics that emphasises economic growth over environmental and social concerns. The conference will also examine a wide range of barriers to achieving justice in addressing climate change, including barriers relating to communication of climate science, social psychology, legal and governance structures, and fossil fuel subsidies. Strategies for moving forward that will be explored include fossil fuel divestment, use of the courts, and some case studies from success stories from different parts of the world. The conference involves keynote addresses and parallel sessions on these three themes: climate justice and ethics, barriers, and strategies. With more than 12 keynote speakers and 60 international and local speakers it is hard to single out particular presentations. We will be writing more on the blog https://www.climatejustice.network about the various presentations and speakers. Here we want to start by mentioning a few highlights, such as a keynote address by Marcus Duwall (University of Utrecht) on what human dignity means in the context of climate justice, Lavanya Rajamani (New Delhi) addressing equity in the Paris agreement, and Robyn Eckersley (University of Melbourne) on whether democracy hinders or helps climate action. There will be multiple sessions on different themes, as well as panels on climate litigation, human rights, and the ethics of geo-engineering. Many people will be very interested in both the Saturday morning session on media and psychology involving talks by David Holmes from Monash University and Linda Steg from Groningen, and a presentation that afternoon by Jack Gilding from the Renewable Energy Alliance that considers what the Tasmanian energy system could look like if it were seriously decarbonising and equitable. The conference includes a strong focus on expanding engagement with climate justice and so is open to the public. There are also free public events, such as a public talk Climate Ethics Amidst Climate Injustice by Steve Vanderheiden from the University of Colorado at Boulder on the evening of Thursday 8 February at the historic Hobart Town Hall and an afternoon of community discussion on Saturday at the conference venue. Dr Peter Lawrence researches in the field of climate change, international law and justice. He is author of ‘Justice for Future Generations, Climate Change and International Law’ (2014). Jan Linehan is a lawyer with broad experience in multilateral negotiations, who has also written on international law and climate change. She is particularly interested in community engagement and the arts in the areas of climate change and human rights. Can we overcome barriers to climate justice and social justice simultaneously? Balancing affordability for people who struggle with costs of energy with the imperative to reduce climate impacts of our energy use is a well-known challenge. Affordability and de-carbonisaton (or clean energy) are two parts of the so-called ‘energy trilemma’. The third is security – having enough energy available to meet the needs of households, businesses and industries. The challenge faced everywhere is to maintain a good enough standard – and preferably to make substantial improvements - on each of the three dimensions without compromising the others. And as any changes to the energy system have the potential to benefit some more than others, fairness will always be a central concern. In Tasmania, the tension between two priorities of affordability and clean energy has a particular flavour: roof top solar is one of the popular forms of clean energy, but is imperfectly matched with Tasmania’s climate. By their nature, sun-based systems generate less energy in winter, when Tasmanian households have the highest energy needs. Winter bills are typically twice as high as summer bills in Tasmania, unlike many parts of the mainland, where the peak costs are in summer. Appropriate storage, such as batteries, or using solar energy for hot water, can help. But the products are costly, which pushes back on affordability. Affordability of energy challenges many households. Tasmanians report intense difficulties meeting the cost of energy during winter months when heating is needed. Some families are forced to choose whether to heat or eat, some stop having visitors because they can’t afford to heat their living spaces. People have told us they stop going out, they huddle under blankets on the couch, and go to bed much earlier in winter. These experiences of energy hardship are partly explained by high poverty rates. Tasmania is the poorest state of Australia: 31.3% of Tasmania’s population are in the most disadvantaged socioeconomic status quintile (one-fifth) of Australia’s population, a higher proportion than for any other State or Territory. The median household weekly income in Tasmania is $1,100 compared to the Australian figure of $1,438, and 26.3% of households had a weekly household income of less than $650. Another piece of the affordability puzzle is that much of the housing stock in Tasmania is old and not well insulated. Heating a draughty home can be unmanageably expensive. Many households who would benefit most from more energy-efficient homes lack the financial resources for the necessary investment in insulation and appliances. Affordability is only one piece of the energy trilemma, but is complicated in its own right. These complexities vary within and between locations. Understanding complex affordability challenges, and especially what they mean for how people live, is a critical part of approaching the energy trilemma with justice in mind. Eslake, S. Education, Productivity and Economic Performance: Tasmania Then, Now and Tomorrow Address to the Launceston Historical Society, 16 March 2017, p 9. Cynthia Townley currently works for the Tasmania Council of Social Service as a Policy Analyst and Advocate for Essential Services.